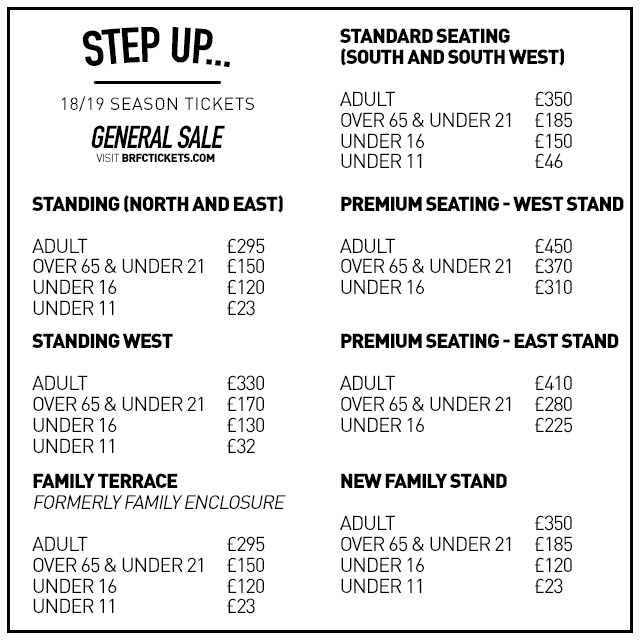 Important information for supporters wishing to purchase 2018/19 Season Tickets. Season tickets for the 2018/19 campaign are now on general sale. The deadline for purchasing Season Tickets will be Wednesday 20th June. This is to ensure that Season Ticket cards are printed and delivered ahead of the start of the season. In addition, the West Stand seating section of the ground is now sold out for Season Ticket sales, with very limited availability in the East Stand. To buy your 2018/19 Season Ticket online – please click HERE.